GET DIGITAL VERSION AT ADDICTECH, BANDCAMP, BEATPORT, BLEEP, BOOMKAT, DIGITAL TUNES, EMUSIC, ITUNES, JUNO DOWNLOAD ETC. The second official labelsampler! For this EP we collected 6 mind-blowing tracks. The different tracks show a cross-section of the diverse music-styles we focus on. DJ Optimus kicks off and introduces the world to one of his in-your-face tracks of his upcoming début LP. The track features legendary mc Prince Po (Organized Konfusion) on vocals. French artist Boulaone (Benbellajazz) and Dutch DJ/producer Vindictiv deliver up-tempo, funky swing-tracks while Swedish producer/DJ Devastate ft Segerfalk (BBE Records/Threshold Recordings) adds some great, tranquillizing atmosphere to the EP. Dutch youngster Jameszoo (Kindred Spirits/Rwina) shows up with outstanding jazzy, spaced out beats and collective Fremdkunst brings the EP to a conclusion with an instrumental song which combines soothing vibes on a hyped, percussive drumbreak. Although the tracks vary in style, all artists share a similar love for the art of cut-and-paste and are all known for being DJ ánd producer. Optimus is DJ/producer from Rotterdam, The Netherlands. Besides scratching and spinning records, he produces music and works as a teacher (DJ-ing). His début LP ‘Double Helix DNA’ will be released in June 2011 on Fremdtunes and contains guest-appearances by El da Sensei, Rasco and many others. Optimus works/worked/performed with artists like Grazzhoppa, Rise (Demigodz), Skiggy Rapz and Carlo de Wijs. On the track ‘Pound for pound’ he collaborated with Prince Po who delivers some state-of-the-art lyricism. Recognized turntablist from the North of France, Boulaone cuts, scratches and produces with precision and great musicality. Open to new experiences and exchanges, he easily incorporates Jazz, Electro or Drum and bass/Hip-hop programming in his productions and DJ-performances. He worked/performed with artists like Chebba Zahouania, Sergeant Garcia, Rob Swift, Kutmasta Kut, Immotep of IAM, Jamalski and DJ Vadim…His various ongoing projects relate to various fields such as producing for and performing with his project Grigri, running Benbellajazz, forming part of the soundtrack of the Charlie Bauer-DVD and touring with Grazzhoppa’s DJ Big Band. On this sampler Boulaone shines with his jazzed-up, breakbeat track ‘Pluto’. Dutch younger Jameszoo produced the third track called ‘Morangueiro’ on this EP. Jameszoo worked and is working on a lot of cool projects. First appearance on a label release was the Pixelord Lucid Freaks remix EP (Error-Broadcast). His current main project is his upcoming album that will be an ode to the Brazilian Jazz cat Hermeto Pascoal. This full length filled with beats, Jazz, Fusion and everything in between will be released on Kindred Spirits by the end of this year. Besides producing he’s known for being a great DJ combining electronic and experimental music with a big portion of soulfulness.He played along side people like Dorian Concept, Heltah Skeltah, Jazzanova, Exile and many more. Producer/turntablist DJ Devastate ft Segerfalk delivers a downtempo jewel for The Series with his ‘Inside the silence’. He was introduced to the culture of Hip Hop in the mid 90’s. The funky beats, rhymes and scratches being channelled at the time inspired him to start using the turntables. Spending a lot of time on stage and in the record stores, fuelled his vision of creating and producing music. With firm dedication and determination he ended up making make strong quality music (listen to his LP ‘Movement/Silence’ on BBE recordings) and doing collaborations and releases with artists such as Masta Ace, Kut Masta Kurt, Maylay Sparks, Stricklin, Segerfalk, Ed O.G and Reef The Lost Cauze to name a few. A man with many talents: besides being a DJ and scratchmusician, Vindictiv produces and teaches DJ-class. Vindictiv started DJ-ing in 1993 and until this day still does. He participated in battles, made music and performed all across Europe with several projects. His outstanding, subtle productions are a combination of sample-art, scratch-art and the use of different instruments. Vindictiv performed with Grazzhoppa’s DJ Big Band, Fremdkunst, and shared the stage with acts likePublic Enemy, De La Soul, Kid Koala, DJ A-Track and many others. ‘Hendrick the funky rocka’ shows his love for jazz, ‘the chop’, hyperbreaks and the Juno 6. Fremdkunst is a blend of hard-hitting beats, funky tunes and cinematographic soundscapes. It’s a playground for the always incalculable Mace (the initiator) who likes to combine Jazz, Surf, old school House, Electrofunk and other musical styles with Hip Hop/break-beats and some continental contemplation. To complete his Fremdkunst works Mace collaborates with different artists like DJ’s Optimus and Vindictiv, Erwin Vann, Mete Erker, Shycop and others. On ‘This side of paradise’, Mace, Optimus and Shycop put their souls in a by F. Scott Fitzgerald inspired boogie-full, breakbeatsong. 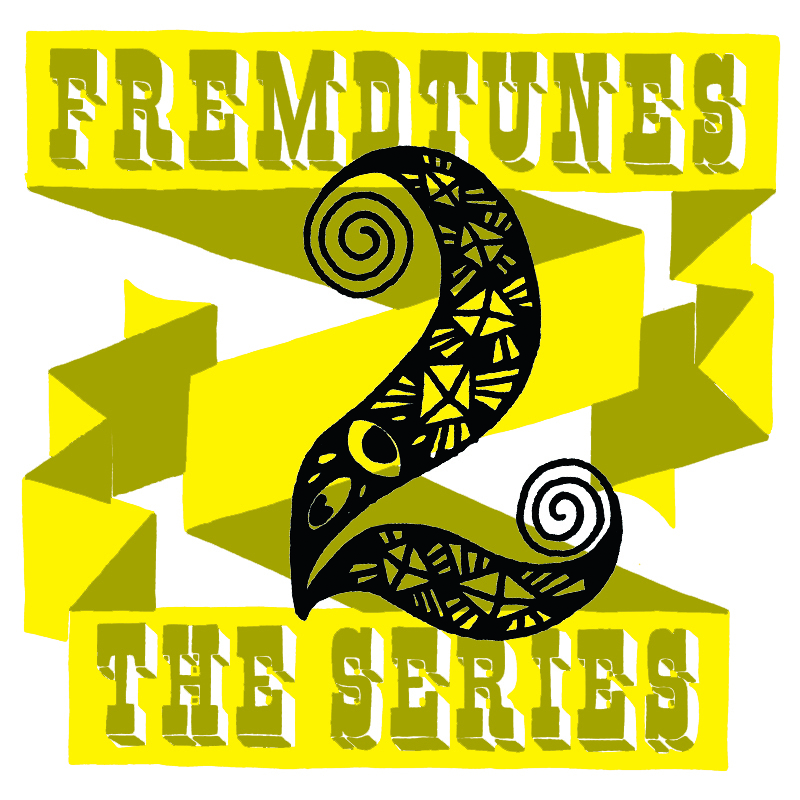 Related page: Fremdtunes – the series 1.